Money. It’s not a topic many people feel comfortable talking–or even thinking–about. It can be particularly hard for perfectionists to address issues with money. 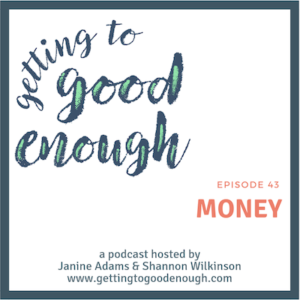 In this episode Shannon and Janine talk about some strategies for getting past perfectionistic barriers to having a good relationship with money.